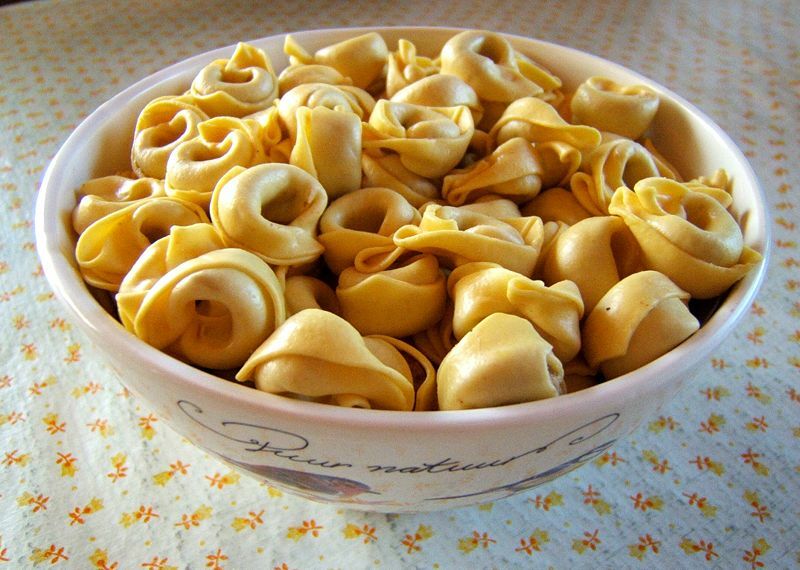 Tortellini is a kind of ring-shaped pasta. They are typically stuffed with a mix of meat (pork loin, prosciutto). Originally from the Italian region of Emilia (in particular Bologna and Modena), they are usually served in broth, with cream, or sometimes with a ragù. Packed, refrigerated or frozen tortellini and tortelloni (similar but larger) appear in many locations around the world, especially where Italian communities have a certain relief. Tortellini and tortelloni are made in special industrial lines supplied, all over the world, by Italian companies such as Arienti & Cattaneo, Ima, Ostoni, Zamboni, etc. "Fresh" packed tortellini have usually 7 weeks of shelf-life. 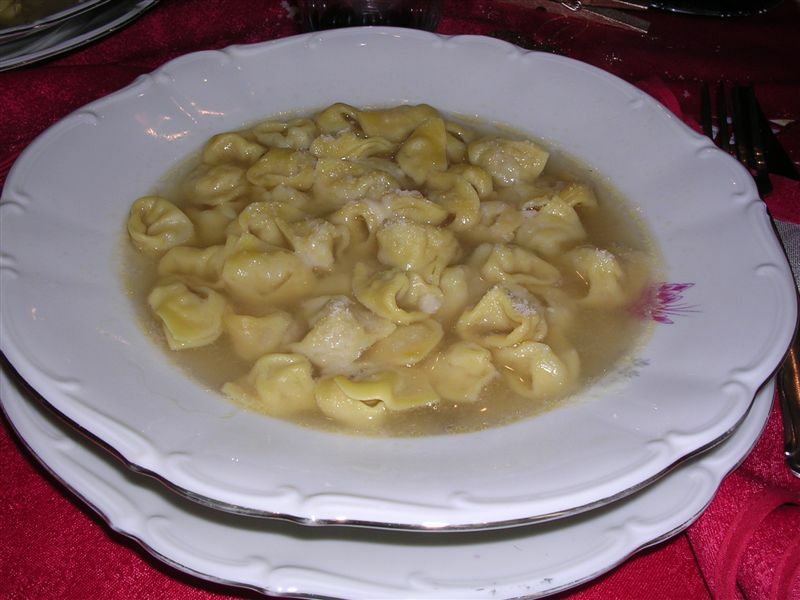 Similar foods in other cultures include Chinese wonton and jiaozi, and Turkish mantı.